Six J & E Hall commercial condensing units are helping to keep running costs down at a newly-built farm shop and cafeteria in Yorkshire. The units have been installed at the business at Manor Farm, Cranswick, near Driffield, in the East Riding. The family-run shop on the A164 between Driffield and Beverley showcases some of the best local food and drink from the region and beyond. There is a top-quality range of meat and dairy products from local farmers as well as fruit and vegetables. The new 80-seater cafeteria and bakery on site serves sandwiches, cakes, pies and other delicacies. 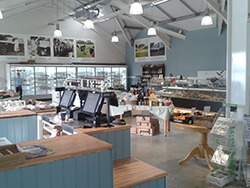 The new building represents a major expansion of an existing business which originally opened nearby in a wooden shed as the Manor Farm shop in 1989. The family history of dairy and arable farming on site stretches back to 1939. 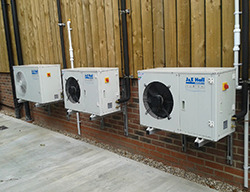 The units were installed by Cold Temp Refrigeration of Skirlaugh, near Hull. There are two JEHS 0200-B2-M3s, two JEHR 0113-B1-M1s, a JEH2 0225-LI and a JEHR 0150-B2-M3, all supplied by FSW of Hull. J & E Hall Fusion and Fusion Scroll commercial refrigeration units create the perfect answer for those demanding a compact yet efficient condensing unit. They are the ideal solution for commercial refrigeration sectors where noise, size and reliability are paramount. Housed in a cabinet made of electro-galvanised mild steel with an anti-corrosion treatment and coated in baked polyester powder paint, the units are able to withstand the most stringent weather testing. The integral IP54 rated control panel provides further protection to all essential electrical components. All units are acoustically lined. The Fusion Scroll units house the extremely efficient Copeland scroll compressor and the standard Fusion range house a highly-reliable reciprocating compressor fitted with compressor jacket to further reduce noise. All condensing units come complete with all components fitted during manufacture to save the installer time and money. Fusion and Fusion Scroll condensing units are available for medium and low temperature applications. At the Farm Shop the units are serving a meat cold room operating at -1 to 0°C, a dairy cold room at 3°C, a cold room at -20°C, two multi-deck dairy chiller cabinets and a serve-over counter area spanning eight metres. 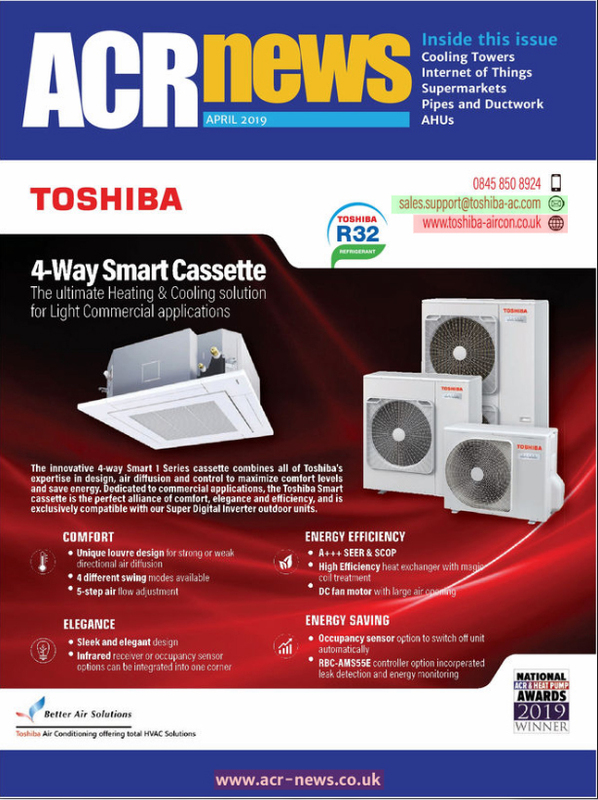 'The job itself was not difficult,” said Cold Temp Refrigeration managing director Mike Ruston. The customer was very good to work for and we had plenty of space to work in. Timewise we had about six weeks on site but that included installing air conditioning as well. Mike said that the ultra-efficient new kit had enabled the customer to cut energy costs significantly, despite the extra equipment, including ovens and air conditioning in the much larger new building. 'It's very early days and obviously we need to monitor it over a longer period but we have every reason to expect a significant fall in costs,' he said. Director Helen Stones, who runs the long-established family business with her father and mother, Adrian and Christine Fry, said: 'The investment we put in was to try and future-proof our business. We are very aware of trying to keep our bills low because one of our major costs apart from staff is electricity. We are all electric here – we have no gas. 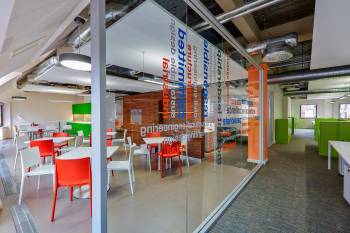 'We are confident that cost savings will be made on a regular basis. We opened in June so by Christmas we will be able to make some comparisons after a six-month run at least – which will be good.